Additional Info: Bed linen and towels can be provided. We also provide a high-chair, bed-guard, and travel cot free of charge if required. 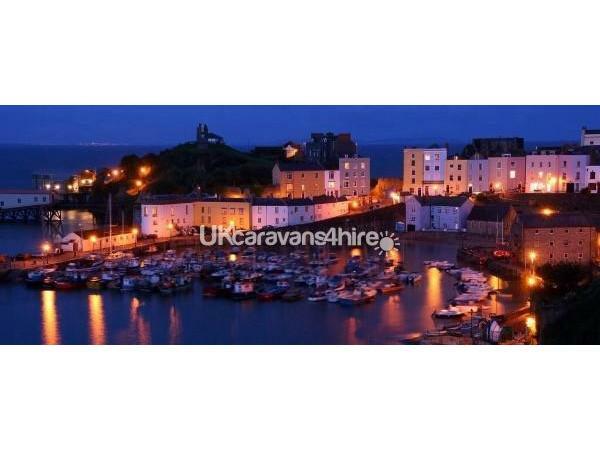 £50 non refundable deposit secures holiday. Balance to be paid 6 weeks in advance of holiday commencing. Damage deposit required and refunded within 72 hours of holiday ending (assuming no damages). 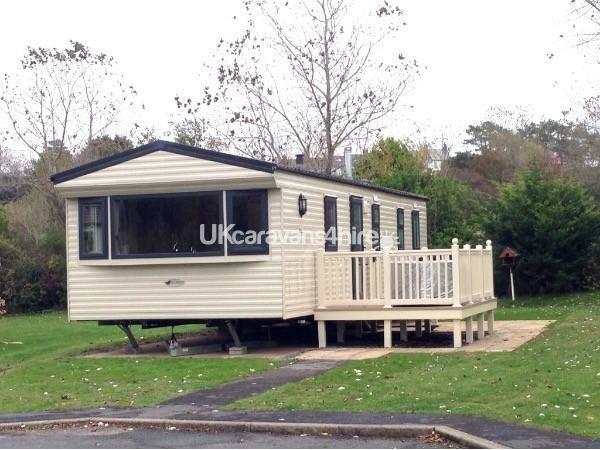 Our 3 bedroom caravan has a spacious lounge with a large flat-screen TV and DVD player. There is plenty of seating, including a dining area with additional seating. The kitchen is well equipped with cooker, microwave, fridge, and all the utensils required to prepare family meals. There is plenty of storage in the living and kitchen area for personal belongings, food, etc. There is a dividing door separating the bedrooms from the living space reducing noise to the bedrooms. 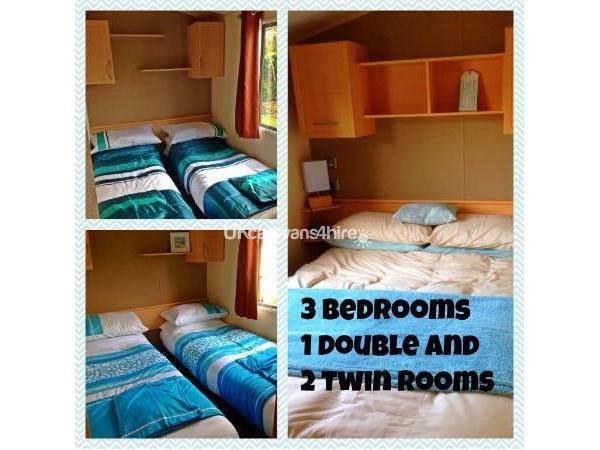 There is a double bedroom with a double wardrobe, and two twin bedrooms with single wardrobes. All bedrooms have mirror, shelves, and additional cupboard storage. There is a shower room with wc, sink, and full size shower, and a further separate wc room with sink. 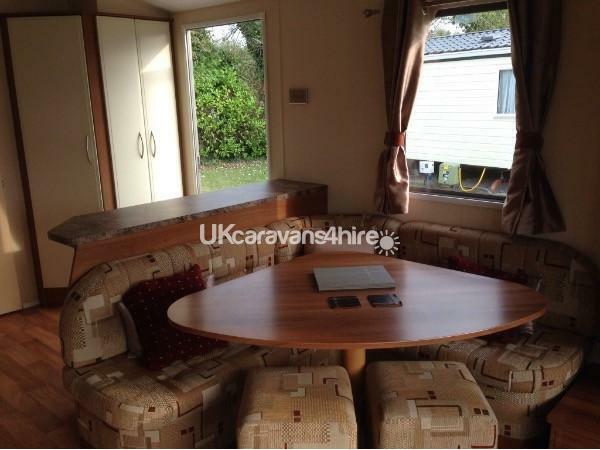 The caravan has double glazing and heating throughout. 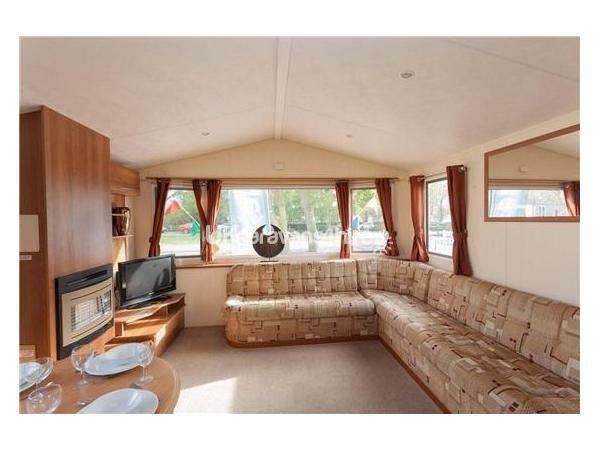 As a family owned caravan it is maintained to a high standard, and comes with extras such as cushions, throws, DVDs, etc. 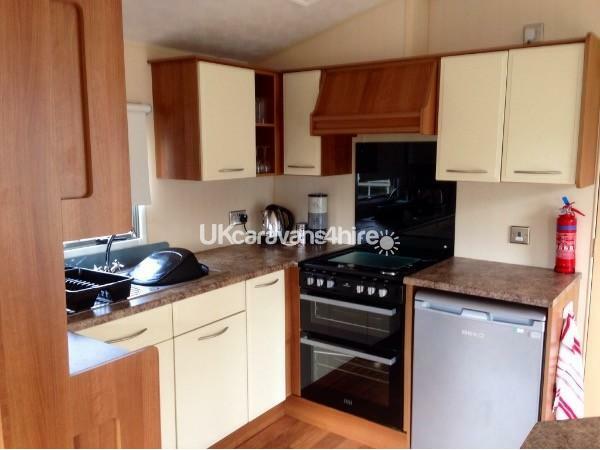 The caravan is in immaculate condition inside and out. There is a raised, gated decking area ideal for children to play safely outdoors or for outdoor dining. There is outdoor furniture available on this decked area. 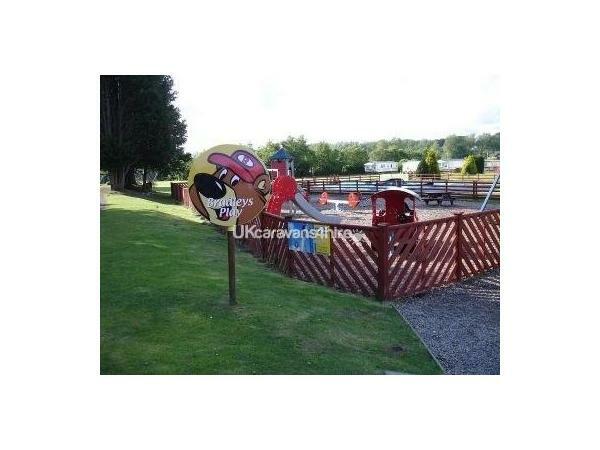 There is a further paved patio area and a larger than average lawn either side of the caravan. 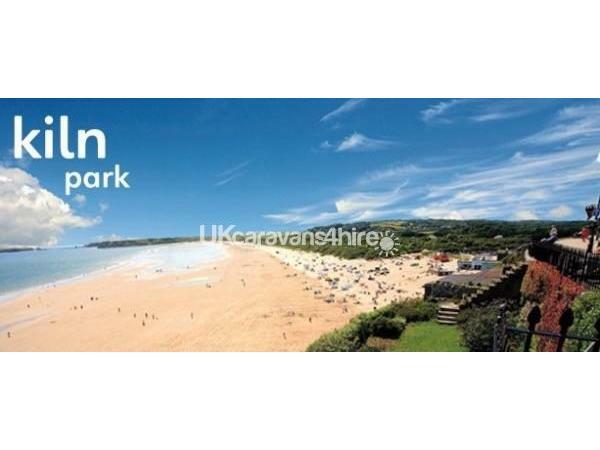 Allocated parking is available directly in front of the caravan, and further parking is also available if required. 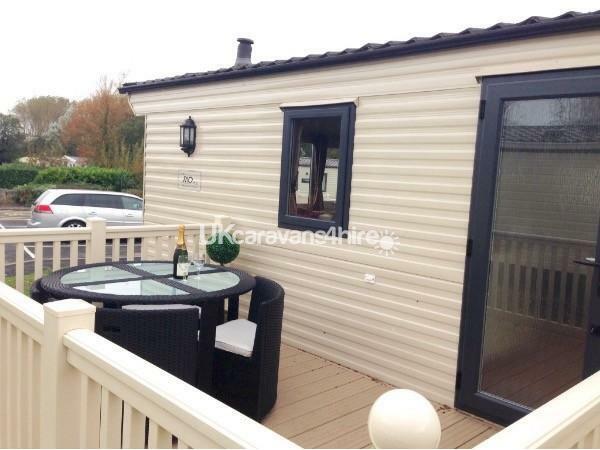 Situated away from the clubhouse but within a 10 minute walk, this caravan combines the best of both worlds. It is a short walk to beach and town. 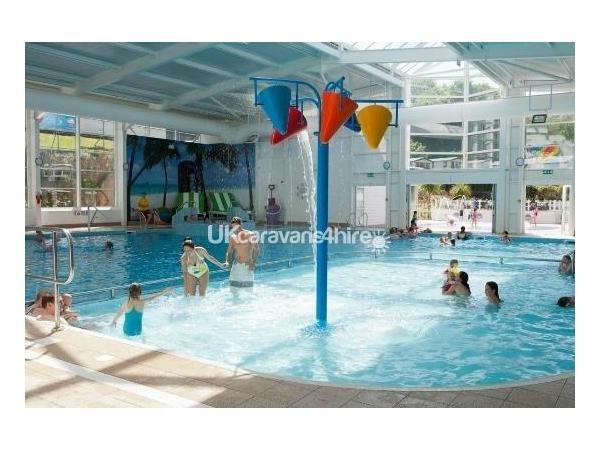 The park is within short driving distance to major attractions including Oakwood Park and Folly Farm. The caravan has annual gas and electric safety tests, and a smoke alarm and carbon monoxide alarm fitted for your peace of mind. We take 3 night bookings (prices start from £95), 4 night mid week bookings (starting from £120), and one week bookings (from £200). We also offer 10% discount for repeat visitors. Additional Info: Outdoor and indoor swimming pool, use of sports facilities including tennis court, karts,archery, etc. Small soft play area for children. Large beer garden with splash zone. Bowling. Papa Johns pizzeria and Millie's cookies shop. Children's playground.